On November 10th, the first event in our new series Sneak Preview – With Current Investors took place. It turned out to be a huge success! Superbuddy, the social, on-demand grocery shopping disruptor was the host. 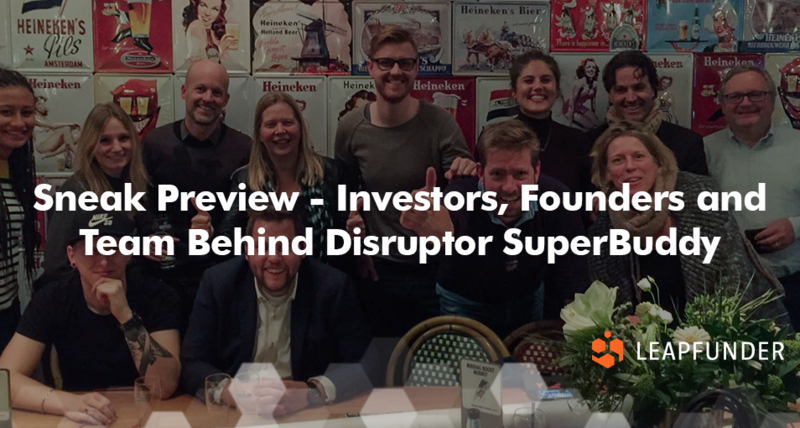 During the event, investors who were interested in Supperbuddy’s new funding round got to meet the current investors and find out in person why they chose to invest in the startup. They also met the founders and the team that make it all happen. Learn all about the event in this interview with Laurens van Geffen, co-founder of Superbuddy. 1. 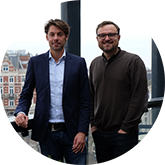 Hi Laurens, congratulations on the successful Sneak Preview – With Current Investors and on launching your third Leapfunder funding round! First, tell us a bit about SuperBuddy and your progress since our first interview. It has only been a year and a half and SuperBuddy is already changing the way people do their daily groceries. We are striving for success with our formula: “On demand, same-day grocery delivery to your door”. Groceries ordered and delivered to your door within two hours. SuperBuddy is the social groceries platform where customers/consumers shop and get connected to a personal shopper. It actually gives people more time in a day. More time…?! On average you (and your loved ones) spend 3 weeks per year on doing groceries. What if you could get those three weeks back? What if there was a company that makes it possible for you to do all your groceries (even if from multiple stores) online and have them delivered the same day? What if you could trust the personal shopper to bring your food as you choose him/her more often? What if you could get the groceries wherever you want them delivered? What if you could help giving these 3 precious weeks back to the people by investing in SuperBuddy. Best idea ever? 2. We want to know more about the success of the Sneak Preview – With Current Investors event. Tell us about the setup of the event. We organised a full day with the team. 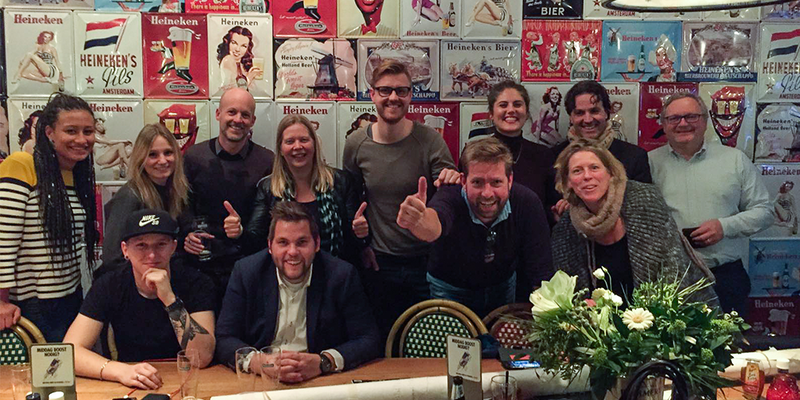 It started with working from Amsterdam; as we are located in Zwolle, we relocated operations and development. We prepared the three hour meeting extensively. In addition to two central sessions, we prepared three round tables around specific topics related to our growth, operations and development. Both Tienko and Rutger also joined the session, because we found out that new investors are unaware of the convertibles. 3. What would you say were the main benefits for the investors? “Inspiring to see and experience how – as potential – investors I became more and more interested during the event. What struck me most is the understanding I have now of the vast potential and possibilities in this huge €36 B market. The social aspect and the insight on the traditional thinking – and often expensive outcome – of the traditional Supermarkets”. “Amazing how the founders were able to, next to the technical platform as solution, built this great team and culture, that is what made me decide to invest”. “Reading an Information Memorandum or pitch deck on the Leapfunder platform is one. Being part of this session, experiencing engagement of the whole team was very very inspiring. It gave me the feeling of wanting to be part of it. The break-out sessions gave good insights on development progress, operations and the huge market they are in”. “Meet the investors was an open and transparent meeting between enthusiastic and inspiring startup entrepreneurs and really involved and interested angel investors. They created content and energy together which led to investments in the startup”. 4. What was the main benefit for SuperBuddy? 5. Are you happy with the final result? Absolutely, we came up with the idea, and it came out great. We had an instant investment of €30 K the morning after. And most importantly, we had personal moments. We had a very special moment at the end of the evening: We received confirmation that an investment fund (not VC or PE) is willing to match this funding round. This investment only steps in for the long run. Although all is not yet formalised, we are in the process of formalising it. When everything is official we will of-course release a collaborative press release. 6. You’ve chosen Leapfunder time after time for your funding rounds. Tell us why & what is your experience with convertible notes? The good thing with Leapfunder is that you can focus on your core! The legal regulations, the financial part of the convertibles – stuff you do not have the time for – the phase we are in. And the STAK-approach makes it clear. One note investors have often questions on is how the convertible note system works. Disclosing this information could help investors. 7. After you successfully close the Leapfunder round, what’s next for SuperBuddy? Please share with us how you’re planning to utilize the funding raised. What will be your next milestone? Our current funding round is to open the next city, boost our great platform and expand our brand name. We have a very detailed forecast rolling out into 8 cities in NL. Our focus is on 60 cities in NL and expansion into Belgium and one other European country. All details can be found here.